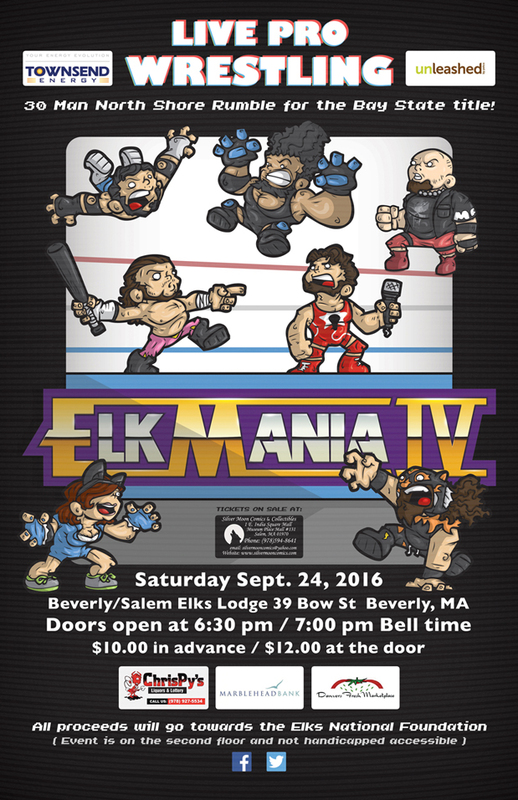 A friend of mine (Mr. Atlee Greene) was putting on a wrestling show where all of the money raised was donated to the Elks National Foundation, which contributes to scholarships, veterans services, and youth programs. 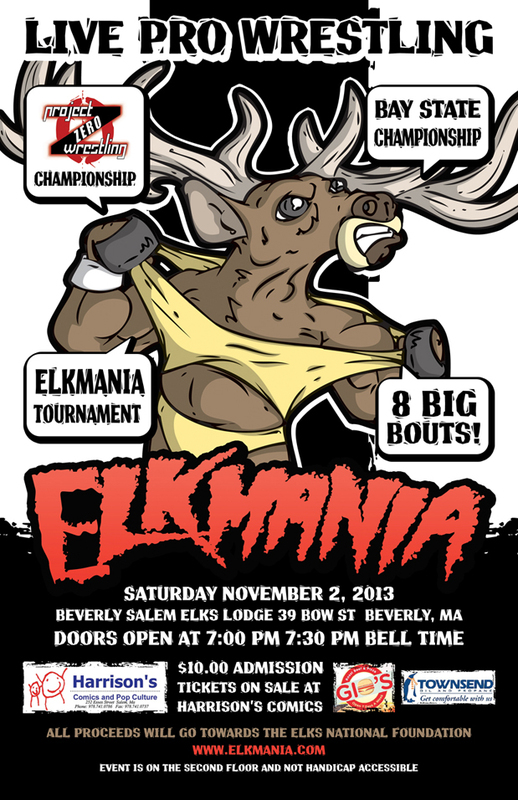 The name of the show was called “ELKMANIA” (since it took place at the Elks Lodge). 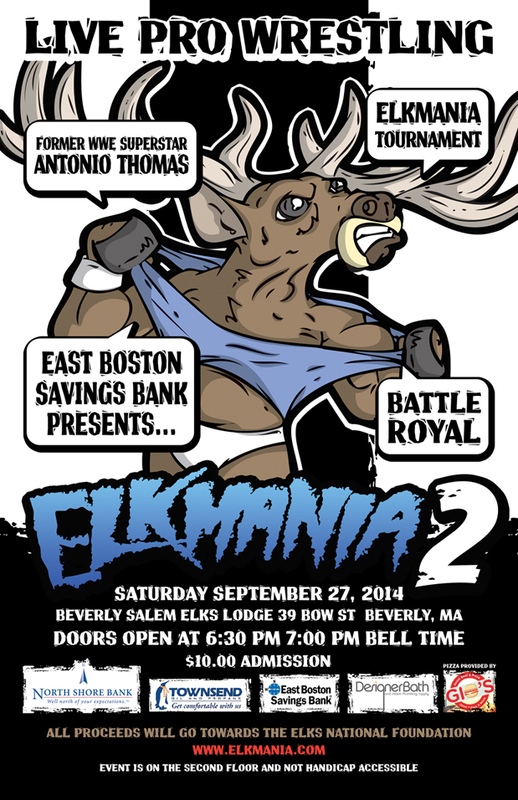 I had to miss the Elkmania 3 poster as I was in the process of a big move (Texas, baby! ), plus with all the Gawker stuff going on around that time, I don't think anybody was interested in Elk Hogan. 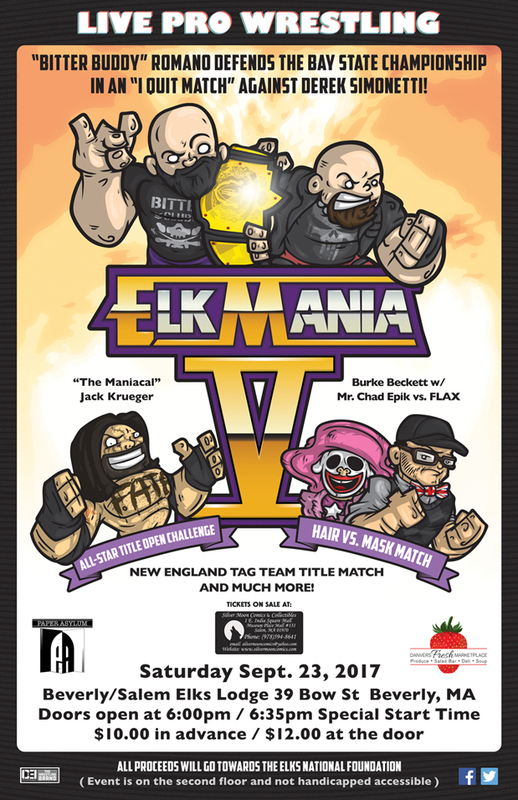 However in 2016 I was available to design the poster for Elkmania IV, this time creating illustrations of the headlining wrestlers and a new logo reminiscent of 80s Wrestlemania... I say reminiscent, but what I mean is blatant rip-off. Onward to Elkmania V - 2017. This time the plan was to model the logo after the Wrestlemania V promotional material - because I'm all about originality. Rather than go with the Royal Rumble look and feel from the last poster, I went with upper body shots of the headliners because I'm too lazy to draw legs and feet. 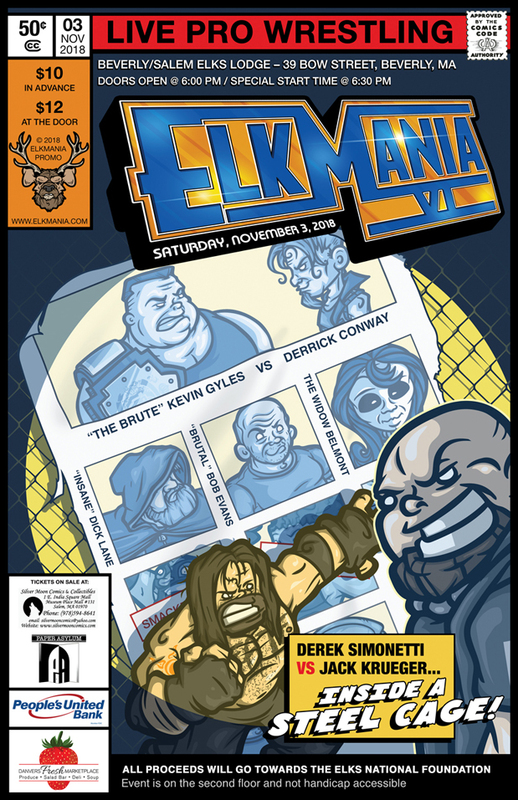 My boy Atlee had an idea for Elkmania VI that tickled all of my fancies - He wanted the design to take inspiration from the cover art for 'Uncanny X-Men #141' (which he didn't realize is my all time favorite comicbook cover ever) - Challenge accepted. 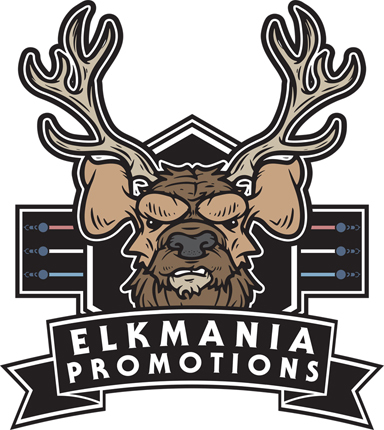 And that about wraps it up for Elkmania - this page will most likely update every year assuming I'm allowed to create promotional art for this awesome event!